PETRIKOV, Belarus — A few years ago, a monument to the local residents who perished during the Nazi occupation was built in the central park of the small town of Petrikov, next to the big Soviet statue dedicated to fallen Red Army soldiers. Inscribed in white letters on granite, the monument informs passersby that more than a thousand civilians were murdered in the town between 1941 and 1944. Above this message is a Christian Orthodox cross typical of Russian cemeteries and church steeples. Nothing on this monument informs anyone that overwhelming majority of those murdered civilians were Jews. Hundreds of Jewish townsfolk were killed when the Nazis forced them to walk into a river with rocks tied around their necks, and shot at them from behind. Only one man miraculously got across to the other bank and told his story after the war, says Truhanovich. 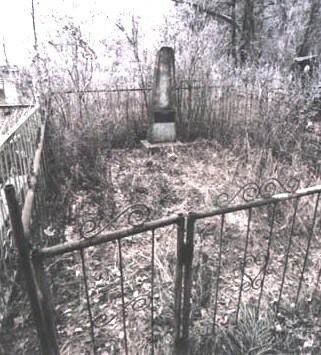 Others were executed in the nearby forests. The Yad Vashem Holocaust museum’s database lists 401 Jewish people who were murdered here, and the list is not complete. A hundred years ago, Jews made up about half of the population in the town. Now they are gone, and no one is left to speak on their behalf. This small town is not the only place in the former Soviet Union where Christian crosses stand at Holocaust memorials. 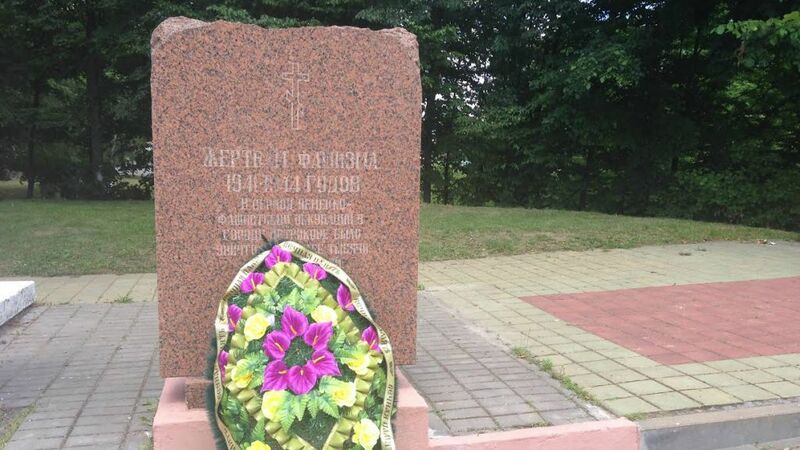 Now that the Soviet Union is gone and religion is no longer taboo, Christian symbols have begun appearing on Holocaust monuments in small towns and villages in Belarus and Moldova — especially in places where no Jews remain. 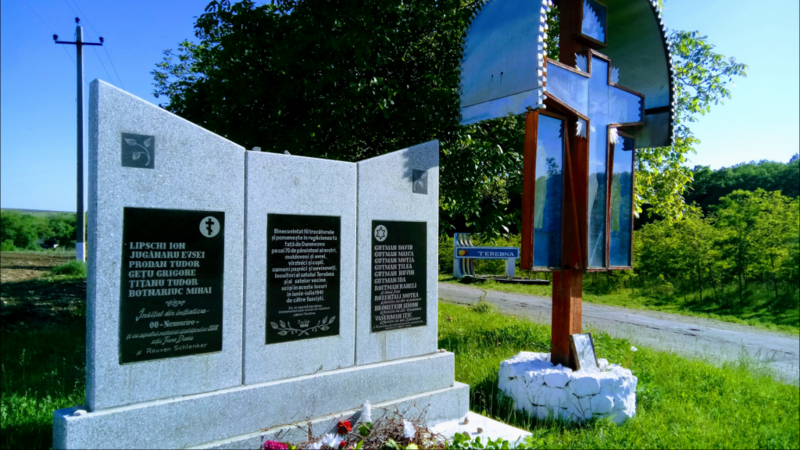 Last summer the village of Begoml in the Belarusian province of Vitebsk built a shrine topped with a cross and bearing images of Jesus Christ, Mary, and other Christian saints to honor the residents of their town who were murdered during the Holocaust. The monument stands in the Christian cemetery just steps from the spot where the remains of 300 Jews who were gunned down by the Nazis on October 2, 1941 are buried, said Alla Korolevich, a historian from Begoml’s Museum of People’s Glory. On that day, said Korolevich, the Nazis told the Jews to gather and prepare to be sent abroad to Palestine or America. When they had walked about a kilometer out of town, the Nazis forced the Jews into a hole in the ground, shot them, and threw soil on top of them, burying many injured people alive. For days, children who saw the mass grave said that the ground moved like it was breathing. In the 1960s, local officials reburied the remains of the murdered Jews in the town cemetery because no one could remember where the Jewish cemetery used to be, Korolevich said. And last year, they built the monument in the cemetery to honor all civilians, Christians and Jews, who were killed by the Nazis. Officials are now collecting the names of the victims to inscribe them on the monument, she added. Many Belorussians from Begoml were also murdered — so many that after the war, the village’s population had shrunk by half, Korolevich said. Nazis killed anyone who had links to the partisans. They threw children into wells, forced children into camps and took their blood for injured German soldiers, and burned homes with the residents still inside. The way Korolevich sees it, the Christian monument pays tribute to all the villagers who were murdered. But many in the Belorussian Jewish community don’t see it that way, and have said that crosses on Holocaust monuments are disrespectful and historically inaccurate. Boris Bruk, the chairman of the Jewish religious community in Brest, which built 17 Holocaust monuments in Belarus in recent years, said that it’s important that the word “Jew” be written clearly on the stones. From the religious standpoint, a cross that stands on Jewish graves is a very bad thing too, said Boleslav Kapulkin, the spokesman for the Chabad Lubavitch community in Odessa, Ukraine. Others in the Jewish community are more positive about the phenomenon. 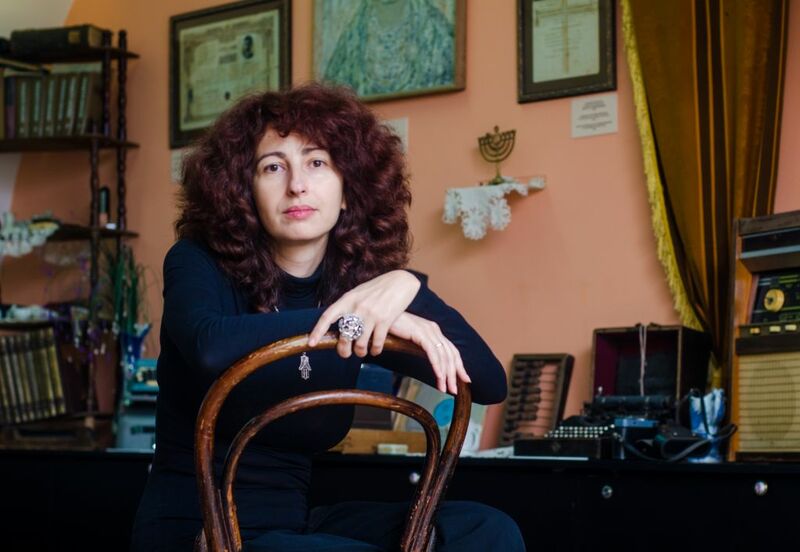 Irina Shihova, the curator of Moldova’s Jewish Heritage Museum, has noticed several similar monuments in Moldova in recent years. In the village of Terebna in the Edinets region of Moldova, a single monument stands in memory of both the Jews and non-Jews who were killed in 1941 — on the left side there is a Christian cross, and on the right side, the Star of David. And a few years ago in another village in the Edinits region, a school principal put up a cross on the spot of the mass execution of Jews, she said. Shihova said in her opinion there is nothing wrong with that. “If Christians honor the memory of their Jewish neighbors in a fashion which is familiar to them, that’s a very wonderful thing,” she said. But back in Belarus, a Jewish visitor to the town of Petrikov, where her grandmother’s relatives were among those murdered by the Nazis, had an unpleasant experience when an official in the town hall said that the Jews have their own monuments in the forest where the executions took place, so there is no need for a monument in the center of town to also mention the Jews, especially if the Jews were not the ones who built it. Many Belorussian people were also killed by the Nazis, the official said. The most cutting remark came from a young man who works as a security guard in the town hall. “Why should we put a Jewish star on a monument in our town? I don’t have any Jewish relatives. I don’t know any Jewish people,” he said.